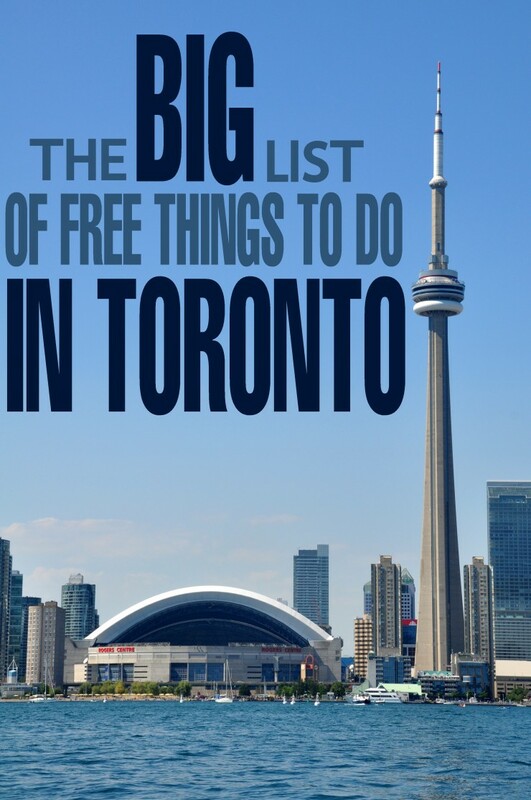 The BIG List of Free Things to do in Toronto - Frugal Mom Eh! Whether you’re out and about in Toronto by yourself or with your family, there are always fun Free Things to do in Toronto for everyone! 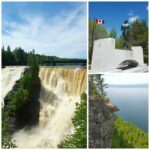 These are activities locals can enjoy as well as those coming in from the suburbs or even those visiting from further away for the Pan Am Games this summer! The Distillery District is the perfect place to spend a few hours in downtown. View the historic architecture, take in the arts and culture of Toronto with unique stores and art galleries. Franchises and chains are not allowed in the Distillery District, so everything truly is one of a kind. Many films have been shot here, including X-Men, so keep your eye out for stars! Riverdale Farm, a historic working farm, is open year-round, and always has free admission. Located right in the middle of downtown Toronto, be sure to plan a day for this trip because there’s something to keep the entire family busy for hours and hours! There’s a free wading pool for the kiddos to cool off, and because it’s a working farm, you’ll see pigs, sheep, chickens, and more! There’s a vegetable garden, and you can even chat with the farmer as he works. It’s an educational experience that you definitely do not want to miss. St. Lawrence Market is Toronto’s largest market. Over 120 vendors sell everything! From farm fresh veggies to fish, cheese, and award winning breads, they’ve got it all. Check the calendar of events before heading out. Gardiner Museum has free admission on Fridays from 4PM til 9PM. They have kids activities every Sunday, too. Take in the sights of over 2,900 ceramic pieces of art from all over the world. Walk by Yonge-Dundas Square while downtown and check out what is going on. There is literally something going on everyday, all year long like free concerts, free films, and free events. Plus there is always free Wi-Fi! Toronto Police Museum has old weapons, uniforms, and even a paddy wagon from 1914! You can study your fingerprints, test your law knowledge, and even get behind the wheel of a police car. Admission is always free. This would make a perfect educational field trip for kids of all ages. Go ice skating at Nathan Phillips Square in the Winter. From September to June, head over to Richard Bradshaw Amphitheatre for a free concert series hosted by the Canadian Opera Company featuring artists from around the world. Performances may include vocal, piano, jazz, dance, chamber and world music. Head down to the beautiful sandy beaches of Ashbridge’s Bay Park along the shore of Lake Ontario. 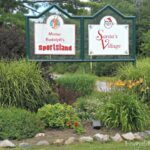 Enjoy trails, boardwalks, playgrounds and more. Toronto is actually home to a wealth of amazing family friendly beaches and Ashbridge’s Bay is just one of many! The Art Gallery of Ontario (The AGO) offers free admission from 6 pm – 8:30 pm on Wednesdays to the permanent collection. Harbourfront Centre has a boardwalk, marina, and a music-themed garden. In the summer, they have free concerts! Allan Gardens Conservatory is a historical landmark, and has a greenhouses that are over 16,000 square feet! Inside, you’ll see plants like bamboo, banana trees, cacti, and tons of flowers such as hibiscus and orchids. It’s simply stunning, and admission is always free! Edwards Gardens is yet another beautiful botanical garden that is always free. It features perennial and rose gardens, rhododendrons, wildflowers, wooden arch bridges, a rock garden and more. High Park is Toronto’s largest park. Fishing and hiking are just the tip of the iceberg when it comes to things to do and see inside High Park. Packed with luscious gardens, a 35 acre fishing bond, playgrounds, and more, High Park is a day-trip worth taking! Pack a lunch and have a picnic. The Tour Guys offer a free downtown walking tour of Toronto on Tuesdays, Thursdays, and Saturdays from June until October. Meet by the clock inside the Grand Hall of Union Station, before 10:30 AM. Tours run rain or shine! Take a self-guided walking tour of City Hall, or a self-guided ghost tour, if you think you can handle it! Parking in and around Toronto can be expensive and sometimes hard to find, so keep your car parked and opt for a TTC day pass. On weekends and holidays group passes ($11.50) are available and may be used by an entire family of up to 6 people (2 Adults and up to 4 children or 1 Adult and up to 5 children or even just 2 adults) which is incredible value. Kids will love the subway, buses and streetcars and it also provides a cheap tour of the city. 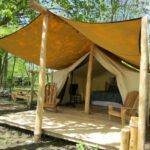 Am I missing a Free Things to do in Toronto? Let me know and I will get it added! THIS is why I miss the city so much. Always, always, always something fun to do, and most times, within walking distance! Great adventures, learning experiences, culture….and food lol. As much as I adore waking up to the quietness of small town living, we’re limited with activities like this. I think a road trip is needed. This is pretty awesome thank you!! We live 2 hours from Toronto and have spent the past few days looking up various activities and things to do with Kira this summer! One of these days I plan to visit this lovely city. Thank you for sharing. Thanks for such a terrific help in planning an affordable visit to Toronto! Now I’d like to see one for Vancouver, BC! This was of great help, Elizabeth!! Thank you so much!! Oh this was so informative! I really really hope I will be living in Toronto someday soon and go to all of the places you mention!! This is awesome! I am bookmarking this! Great list here. Toronto is a special place and these FREE places makes it even more special. Love this city! Thank you for your list! We have to travel to Toronto every six months for medical appointments and I try to find cool things for the kids to see so they don’t hate these visits. This is very good. Don’t forget Kensington market. So very bohemian and kitchy. Does the ROM have a free museum time? I want to go with a guest who is coming to Canada, but I am on a strict budget and told them we will be doing the budget thing.